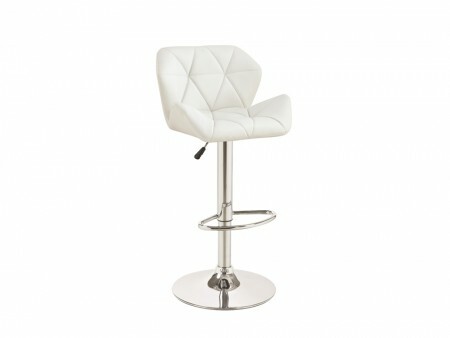 Rent this adjustable height chrome and white vinyl upholstered padded stool. Ideal for any countertop or table, this modern glam stool has a powerful design impact. 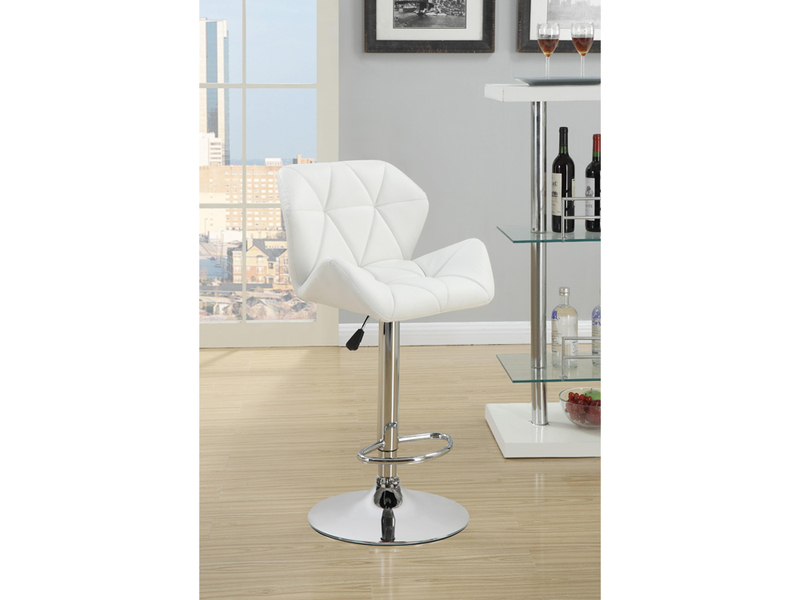 Comfort and functionality best describe this piece. 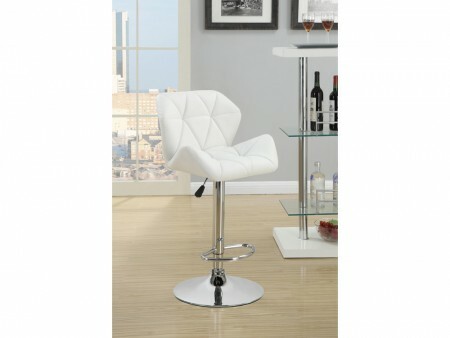 Check our dining set to complete your eating area.